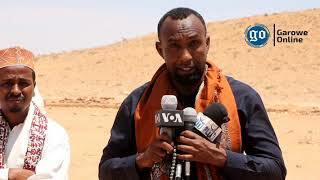 GALKAYO, Puntland - A senior Puntland security official has been shot dead by in the heart of Galkayo, the regional capital of Mudug province on Friday night, Garowe Online reports. 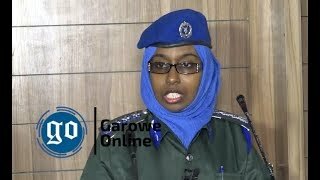 A witness told Garowe Online by phone that Police Colonel Abdirashid Hassan Hashi alias [Gabi-Gabi], was gunned down by pistol-wielding unknown assailants as he walked out of a mosque after Isha Prayer. Reports said the killers escaped the crime scene before the arrival of the security forces of Puntland government, who launched a manhunt to capture the culprits. No arrest in the fatal shooting was reported. However, the reason behind the killing of the officer remains unclear, as no group has yet claimed responsibility for the apparent assassination, according to police sources. 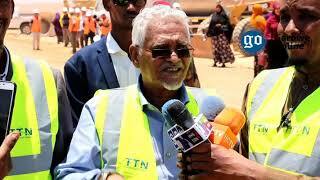 Late Hashi has once served as the commander-in-chief of Puntland's Birmadka forces in Mudug region under the current outgoing administration. 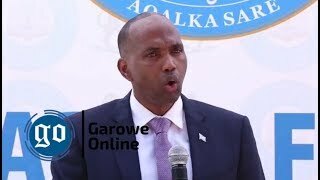 His murder was the latest in series of killings against the security force members, government officials and parliamentarians in Galkayo, which straddles the border between Puntland and Galmudug states. 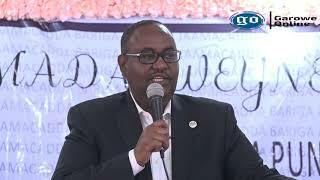 Last May, Al-Shabaab assassins killed Abdihakin Mo'alim Dahir, a Puntland state lawmaker, in front of the Classic Hotel in the northern part of Galkayo city. 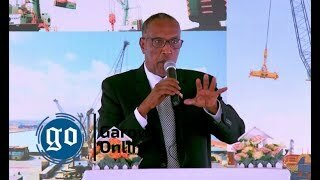 Puntland, a Federal Member State in northeastern Somalia has faced a surge in terrorist attacks and frequent assassinations since the President, Abdiweli Mohamed Ali Gaas came to power in 2014.